The name of the oboist and conductor Alexey Utkin is now well known both in Russia and abroad. His great natural talent was developed by the brilliant musical education he has received in the Moscow Conservatory. Later he has got a wonderful experience as a member of the chamber orchestra The Moscow Virtuosi headed Vladimir Spivakov. All this made him very soon a notable figure in the modern Russian musical life. It was Utkin’s historical breakthrough which introduced oboe as a solo instrument on the world stage. In critics’ opinion he «transformed oboe, an instrument of the background, into the hero of wonderful events». Having courageously started to perform all solo compositions created for oboe, he began expanding the range of the instrument and its’ potentialities at the expense of the special arrangements for oboe. The performance of compositions by Antonio Pasculli became the bright example of Utkin’s musical virtuosity. Today the compositions by Bach, Haydn, Vivaldi, Mozart, Richard Strauss, Shostakovitch and Britten are all in the musician’s repertoire. Performing original works for the oboe, Alexey Utkin also expanded the range and potentialities of the instrument thanks to special arrangements for the instrument and today his repertoire as a soloist comprises numerous compositions from Bach and Vivaldi to Britten and Penderecki. New ideas and creative searches by Aleksey Utkin have been reflected in the series of concerts during recent years such as: “East West Fantasy» which features the music of H. Purcell, Mahavishnu, Clark, McKadnles for chamber orchestra, electric guitar, bass guitar, indian reed flute, and drums; in working with a young composer Andrey Rubtsov, which led to the creation of the «Festival Divertimento-Fairy Tail» in 10 parts for chamber orchestra, children choir, electric guitar, and drums. His friendship with an actor Alexander Philippenko led to an impulse to make a program «Reflection in the water» (Concert for dramatic actor, soloist and chamber orchestra), based on «Krohotki» by Alexandr Solzhenitsyn and Preludes by Dmitrii Shostakovich. In the season 2016-2017 Aleksei Utkin is creating new concert programs, where different epochs, styles, and tendencies are boldly combined. One of them is “From Baroque to jazz-rock”, performed during the last season in Moscow. 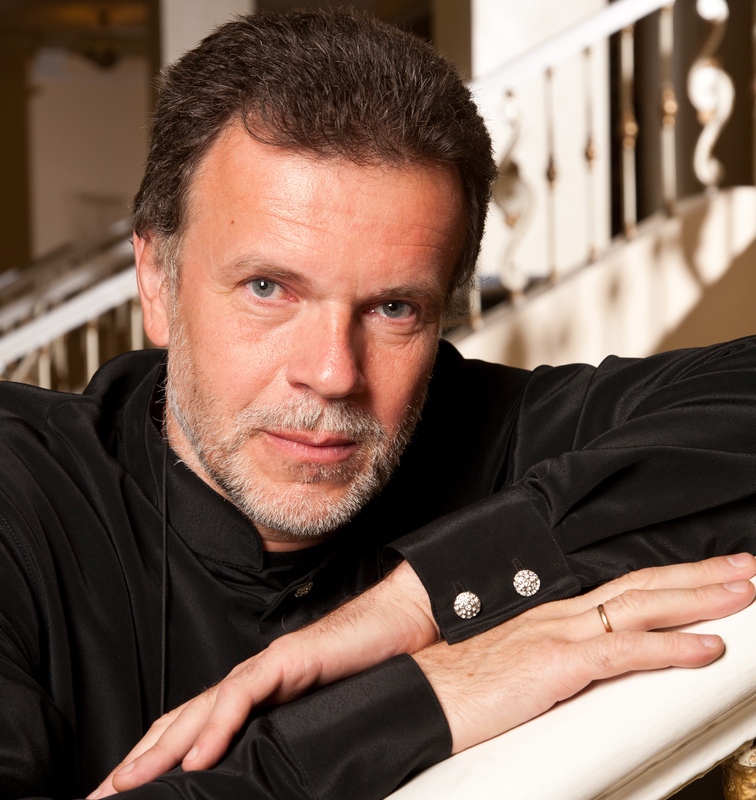 In 2016 Aleksei Utkin was awarded the Moscow Award in Literature and the Arts in the category of “Musical Art” for his contribution to the development of Russian music and the popularization of classical music at concert platforms in Moscow. For the 2016-2017 season the State Chamber Orchestra of Russia, besides performing traditional concerts in the Tchaikovsky Concert Hall, the Great Conservatory Hall, the “Philharmonic-2” Hall, the Chamber Philharmonic Hall, and the Gnesin Concert Hall, will take part in a series of concerts entitled “Stars of World Opera in Moscow”, and the Russian premiere of the opera “Teseo” by G.F. Handel. The orchestra will again present several original concert programs: “From Bach to Beatles”, where works of Bach “meet” works of Gershwin, Penderecki, and V. Grokhovski (“Philharmonic-2” Hall); and a concert with A. Mustonen including works of Pärt, Schubert, Mozart, and G. Kancheli (Tchaikovsky Concert Hall).